This app is a complete scam!!! Twice I’ve tried to claim a prize and both times I’ve been swindled. First time I tried to claim I gift certificate and they were supposedly all out so I decided to just get a t-shirt. Got the run around for like 2 months over supposed size of the shirt then never got the shirt. Finally had them refund my tickets. Then gift cards were finally available so decided on a 50$ TGIFridays card. After going through the whole process to claim the card it said I was set and gave me card# and pin# plus customer service # if needed. Well I go to TGIFridays and put in my card info and surprise,surprise there is 0$ balance. I call the supposed # they gave me and it’s a telemarketer # selling promotions and asking census questions!! What a waste of all the time I spent on this app!! Stay away!!!! I’ve been playing games with friends and affiliates on this app for well over a year. It’s certainly fun, but there are countless technical errors, glitches, mis-scored points, and lag. Over the last year there has been zero improvement, so I’m guessing there never will be. I’d hate to be someone that actually spends money to get tokens to play the games, as there seems to be no compensation when the app screws up, which in my experience, is about %97 of the time. It’s a great idea, but they certainly need to go back to the drawing board. Good news for me is that it’s just a game and I still enjoy hanging out with friends and playing while we watch a game. I don’t spend money on it, so I’m out nothing. The concept is brilliant and initially had all the major “players” in place for this app to work and be successful. However, after over a year of inaccurate scored points for players, changes in rules during mid promotions, the countless technical errors that occur, the promised prizes legitimately won by players in games that they still have yet to receive, suggestions given to upper management which were encouraged for us to give and ignored on how to fix those issues. I have come to realize that things will not change for the better. They were not properly prepared from the launch date and could never patch the holes fast enough. 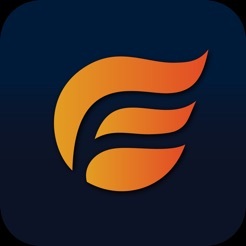 FireFan is a tiny flame that’s about to blow out. Very disappointed.